About two months ago, Rachel and I went to MarFranc Haiti to implement a pay-it-forward goat program. Our initial project was a complete success. With many of the Haitians eager for us to return in the years to come to continue educating. Neither one of us ever imagined that this project would open so many doors and so quickly. It is truly an amazing story of feeling the call from God to go, to help, and to trust him; much like Matthew 17:20. The Pay-it-Forward goat program started with 22 goats. 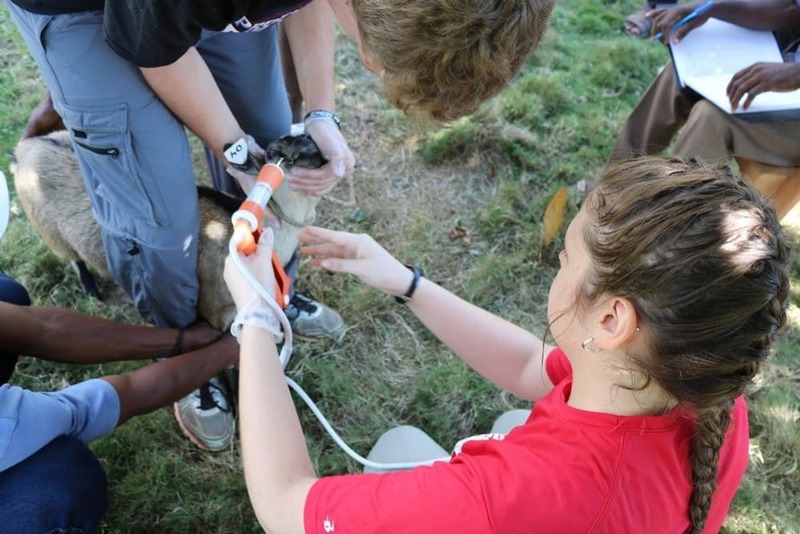 While in Haiti, we taught the Haitians goat management skills, ear-tagged the goats (for identification), and dewormed the goats (medicine to prevent/treat parasitic worms). We held a two day workshop educating the community on breeding, health, and nutrition about their goats. When a goat gives birth to a female baby, that baby will return into the program and be given to another family. In the future, we plan to continue the workshop and advancing the material. The current door that God has opened for us is the amazing opportunity to present our project at the global Conference on Innovation in Agriculture Education in Port-au-Prince Haiti on May 3-4. We are extremely excited for this amazing experience as well as to see where God continues to open doors. We know that God has his hand throughout this and was the one to open the door for us to share His work at this conference. For this journey to continue, we have to raise $5,000 as there is no funding from the conference itself. We are calling for the help of Defender nation. Please consider making this conference happen! Pay it forward, one goat at a time. Bring hope and new opportunities to those in Haiti.